Guess which local dessert business has won Roadrunner Food Bank’s coveted “Souper Bowl Best Dessert Category” in the customer service and dessert categories since 2012? 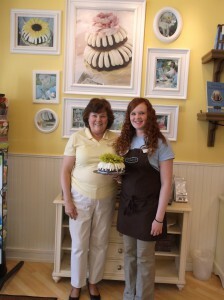 It’s those wonderful people at “Nothing Bundt Cakes”! Every week for the past four years Meals on Wheels of Albuquerque has been the recipient of donated bundt cakes. Recently, Nothing Bundt Cakes donated four dessert trays to serve at our Volunteer Appreciation Luncheon that was held on April 17th. When Mayor Berry walked by the food tables before reaching the stage to honor our volunteers with his “Mayor’s Declaration” he exclaimed “I love these little cakes” while popping the red velvet bite sized cake into his mouth. Barbara Rothweiler is the owner of the business with Sara Layman as the general manager. The bakery here in Albuquerque was first started in 2011 by the Rothweiler family who had moved from Las Vegas, Nevada. They employ bakers, frosters, crafters and guest service representatives. We at Meals on Wheels of Albuquerque are grateful they create such delicious cakes and are so generous with their donations to us! You can preorder their cakes on line at: www.nothingbundtcakes.com or call them at 505-924-2222. You can also walk in and order a cake. They are located at 5901 Wyoming Boulevard NE, in the shopping mall on the corner of Academy and Wyoming NE. 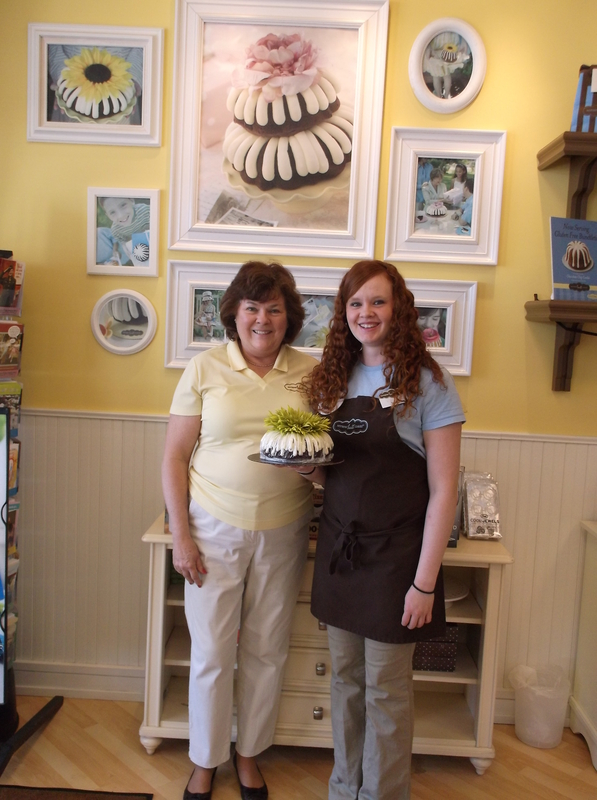 They offer five sizes of cakes: 10 inch, 8 inch, tiered bundt cakes, Bundtlets and Bundtinis. 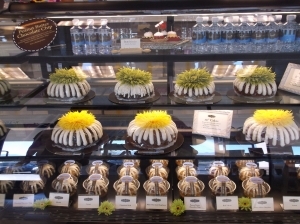 The bundt cakes can be frosted and decorated according to your specifications, and come in these choice of flavors: red velvet, chocolate chocolate chip, lemon, marble, pecan praline, carrot, white white chocolate, cinnamon swirl, white chocolate raspberry. They also have gluten free cakes for individuals who have gluten allergies. Every month they change their specialty Flavor of the Month selection and for May it is Strawberries and Cream. They also have specialty giftware so if you are ordering a bundt cake for a special occasion, you can have it decorated according to your specifications, get a card and gift all in the same location. Their hours of operation are Monday through Thursday 9 AM to 6 PM and Friday and Saturday 10 AM to 6:30 PM and if requested will deliver to your location. Their bakery and store are closed on Sundays. Why not honor your Mom and order a bundt cake for Mother’s Day May 10th, your favorite veteran for Memorial Day, and/or your graduating seniors from school. Tailgating party with the Lobos or Isotopes? Soccer Games with the kiddos? 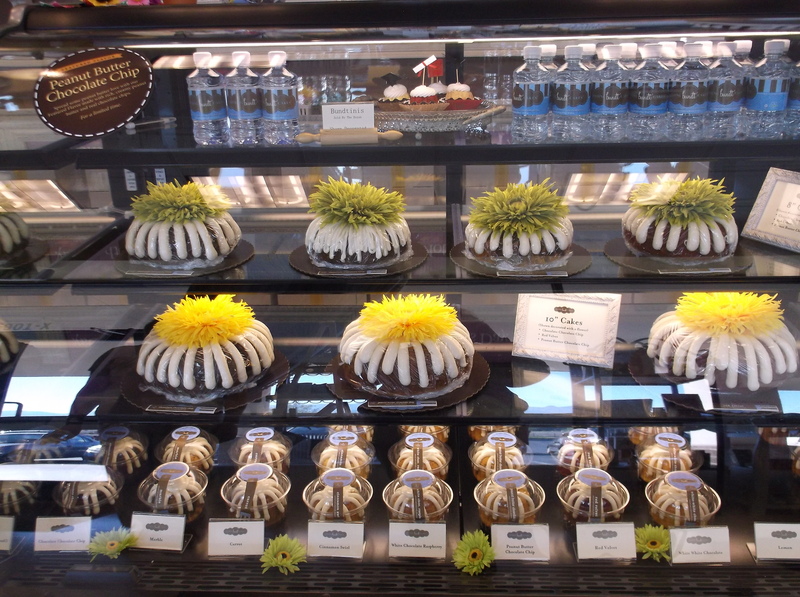 Picnicking and outdoor entertainment are perfect times to order these delicious cakes as well.